Today, 23 January 2012, is the start of Chinese New Year. It is the Year of the Water Dragon - a powerful and auspicious sign that can mean success, luck and happiness. 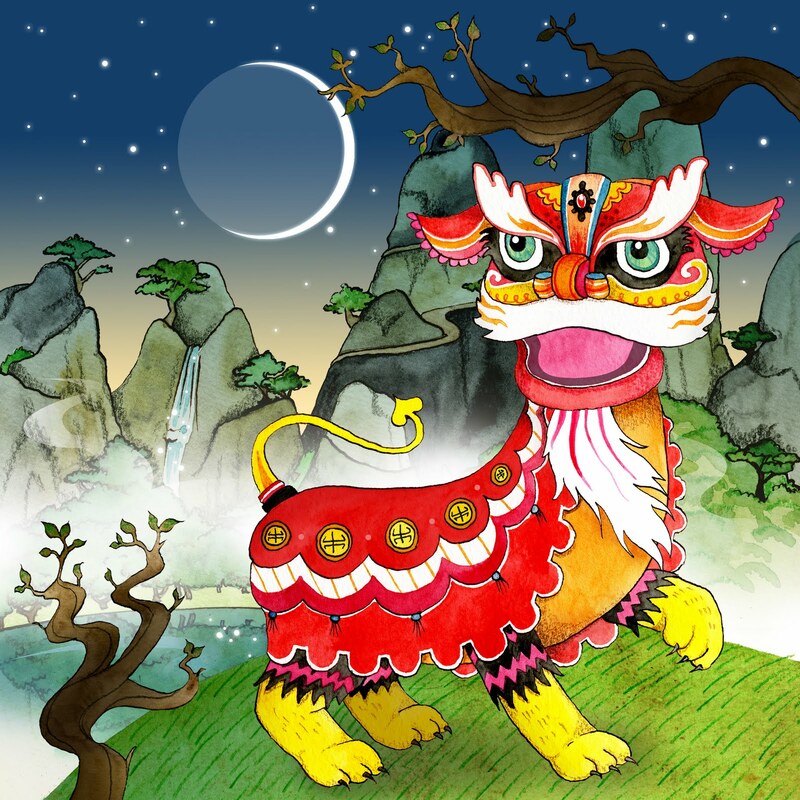 I do realise that the picture above shows a Chinese lion rather than a dragon, but lion dances are a traditional part of Chinese New Year celebrations. Below are general events over the coming week in that could be of interest to pagans and others, including London's Chinese New Year Festival on Sunday 29 January. Thursday, 26 January; Mark Pilkington, Geraldine Beskin and John Rimmer talk at Fortean London. Venue: upstairs at The Bell pub, 50 Middlesex Street, London, E1 7EX. TIme: 7.30pm – Fortmanteaux; 8pm – talks; 9pm - break; 9.30pm - Q&A; 10pm - end. Entry cost: £3/£2 concessions. Saturday 28 January; Free and Open Gorsedd of Caer Abiri Imbolc Rite at Avebury Sun Circle, in Avebury, Wiltshire. Open druidic style ceremony to celebrate the first stirrings of spring. Meet at the Red Lion Pub, Avebury, around noon for rite at around 1.30pm, ending around 3pm. Bring bread, cakes and drink to share, bring poetry to read. Interesting. Many people also confuse the Chinese dragon from the Chinese lion. I always enjoy these festivities that celebrate the Chinese New Year.